All work is based on an $100 per hour rate. We offer a 15% discount for non-profit organizations. Before we begin any project, we provide you with a proposal so that we are on the same page regarding budget, project scope, etc. If it looks like we’re a good match for your business, we welcome you to use our online contact form. At Flourish Design Studio, Inc. we base all our pricing on the amount of time to complete each deliverable. The amount of time is estimated based on the complexity of each project, the number of revisions included, the number of initial designs presented to the client, and the amount of time required to prep the final files. Below are some of the basic services that we provide as well as a breakdown of what each service includes and the costs associated with that service. Design is fine-tuned based on client feedback, and then final files are prepped. Two hours of meeting and/or communication time is included in estimate. Additional rounds/phases can be added if needed. Groups should budget for additional rounds. Don't need a full logo package? Do you already have a logo that needs to be refreshed? If you don't need a full logo design we can work with you to improve and refine your existing logo. 5-7 pages of website content (additional pages can be added for a nominal fee). These options are added to the base project fee. Request full web project PDF for more information on the pricing of these options. Final design is fine-tuned based on client feedback. 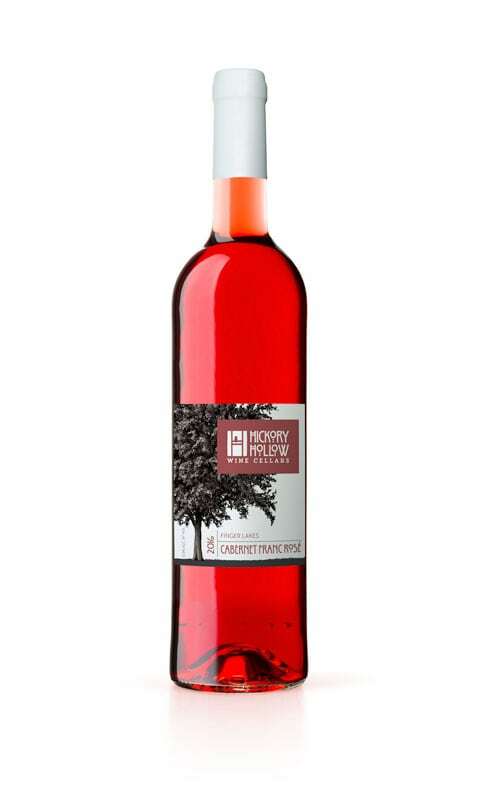 If there are product variations, the packaging for each variation is then prepared and reviewed. Once the final design is approved, final files are prepped. Pricing: Due to the complex nature of package design, it is beneficial to discuss the scope of your project, the unique features of your materials, and overall design system with you before we put together a proposal for you to review. No two packaging projects are ever the same so we want to ensure we can give you as accurate of a proposal as possible. Please contact us for your custom quote today. 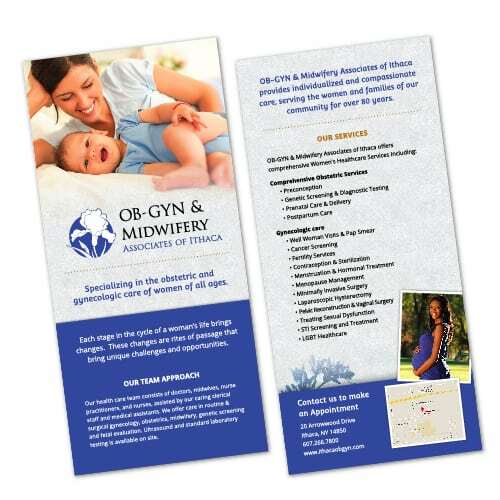 An attention-grabbing, well-designed brochure will deliver your message in a compelling way. 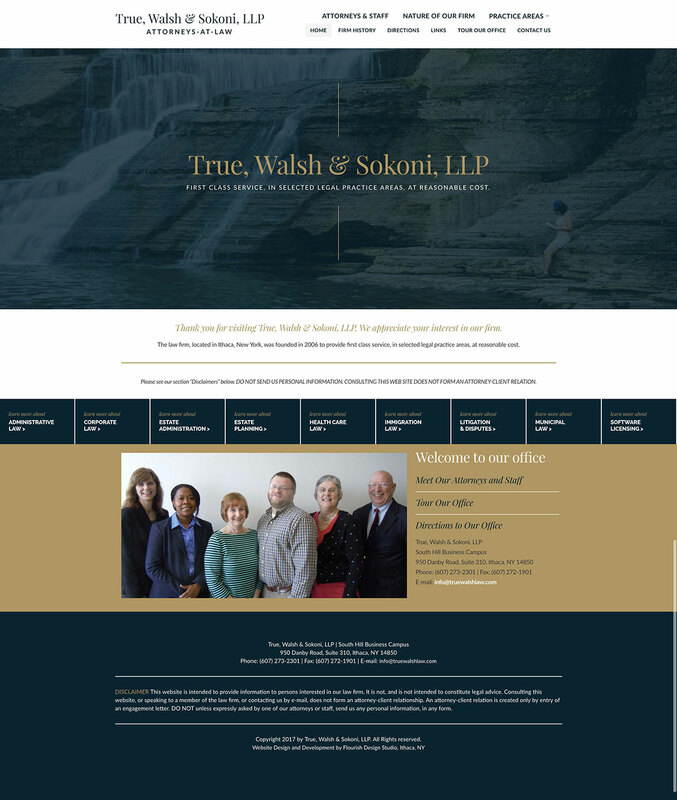 Choose from a traditional tri-fold style or an oversized option (if you have more content). Deliverables: Press-ready files. Printing costs not included. Oversized pieces require additional design time. Communicate with your clients and associates in style with a custom stationery set to suit your unique needs. 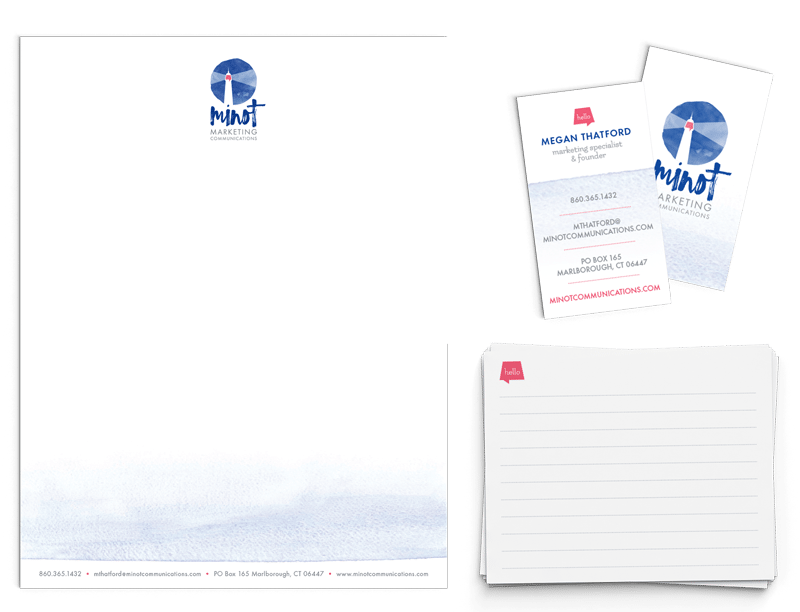 Choose from business cards, letterhead, envelopes, labels, note cards, etc. Deliverables: Press-ready files. Printing costs not included. 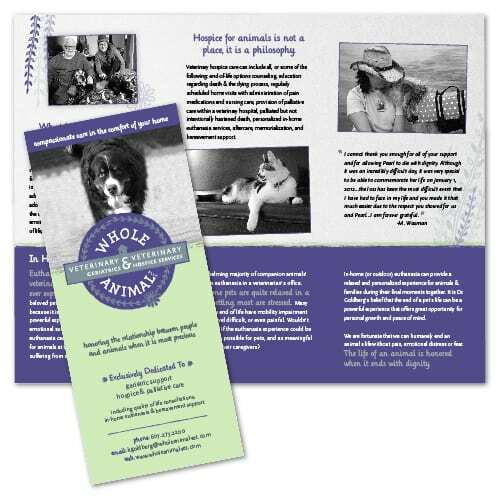 A great alternative to a tri-fold brochure, a rack card imparts a concise message using two panels (front & back), printed on cardstock and fits into brochure-size displays. 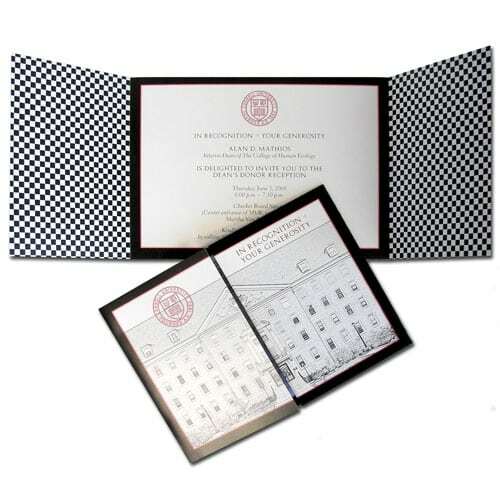 Attract guests to your event with a unique invitation design. Choose the medium that's right for you: a postcard, folding card, brochure-style, flyer, etc. Have a unique project that needs good design? We LOVE non-traditional projects. Whether it's a book, tradeshow graphic, coaster, label, poster, etc, contact Flourish Design Studio, Inc. with your idea, and we'll help you find the right medium! Special projects may include unusual sizing, printing techniques (including metallic ink, die-cuts), etc. Don’t think your project scope fits the services listed above? Want a more customized proposal? We are happy to provide a customized proposal to ensure that the estimate is as accurate as possible. We will first need to collect details about your project so feel free to contact us to set up a time to talk about your project!